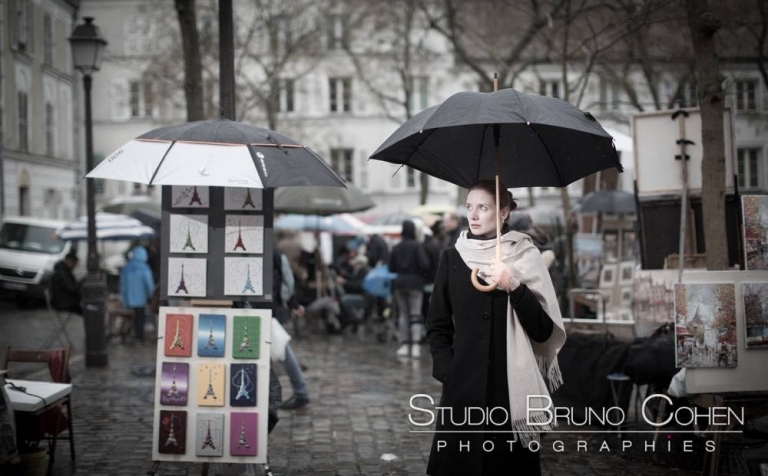 I am often asked if I cancel my shooting when it rains. The answer is NO!!! Of course , when possible, I suggest to delay for a better weather. 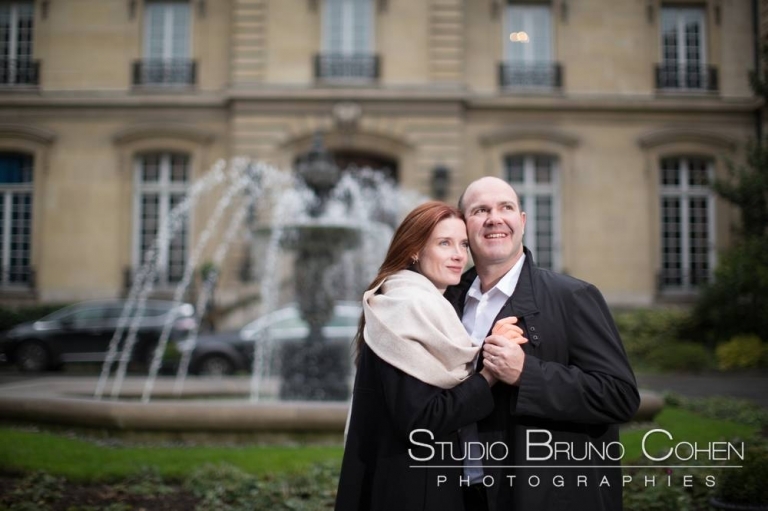 A heavy rain is definitely difficult to handle, but there are many covered places in Paris to photo-shoot with beautiful backdrops and a nice light. Just think of all the stunning bridges in Paris , they are all different !!! The first prop to prepare a big umbrella. The light under a big umbrella is just amazing. 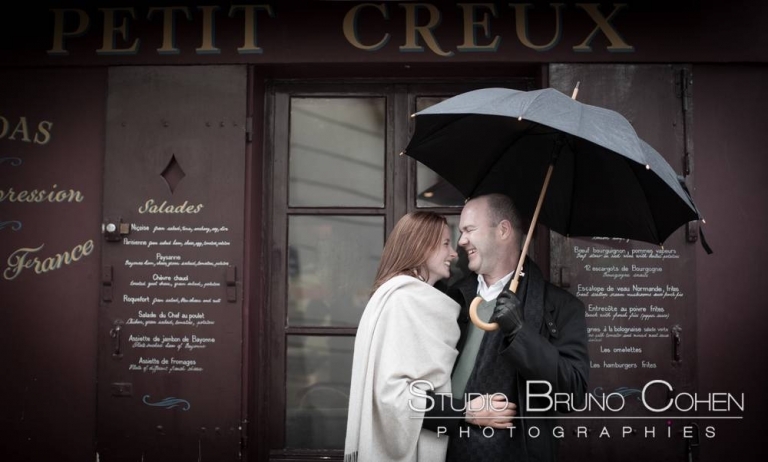 I had a few photo-shoots this year just before Valentine’s Day and the weather was really bad, with rain and wind. I used more indoor locations than usual, like cafés and hotels.